I found this sign in a charming, artsy shop in Takoma, Maryland. At the time, I was studying Adult Learning and Education in grad school. 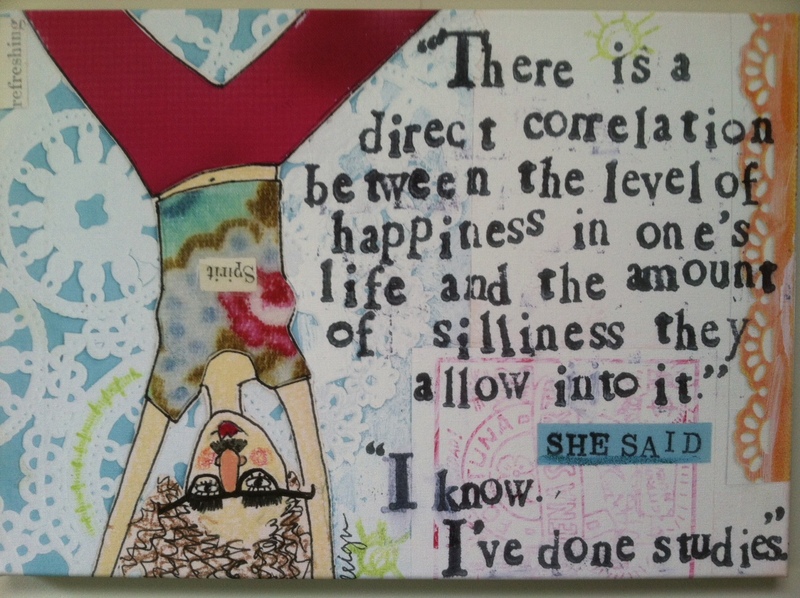 There really needed to be some silliness and happiness in my life despite all the challenges. This sign is hung in my office adjacent to my desk. My job is charitable giving for a non profit private foundation. So many serious issues, desperation, pain, loss — that is not just the people I meet, but has been my private life recently. Some days it is harder for me to find, so I look at the curly haired lady with the funny face, and remember I am still here. Humor that makes you think or smile is truly uplifting! Laughing at a cute child or groaning at a bad pun are all ways to create bubbles of joy inside when you need it most. Laughing at someone else does not count if there is any enmity in it or judgment. Leave the judgment out and leave the joy in. Don’t aim for the jugular, reach for the juggler! See the irony and humor that was there, but went unseen, or magically appears when you need a smile so desperately. The silly, the sweet, the blush of a joke, the massaging of the heart are the signs of humor that help us to remember there is still joy and laughter in the world.